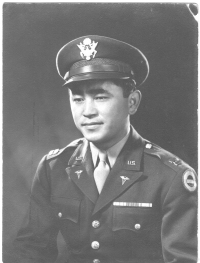 Dr. Richard Toshio Kainuma was born August 31, 1911, in Kawailoa Camp in Waialua on the Island of Oahu. He grew up in the rural plantation village where his father, Ryozo, was an independent sugar farmer. His mother worked as a seamstress and ran a finishing school for young Japanese ladies. The income from these enterprises supported the family through the worst days of the Depression. Kainuma attended Leilehua High School and the University of Hawaii, where he played on the baseball team. There he met Mildred Kimiko from Maui who would become his wife. In 1934, he left for Tulane University Medical School. Few immigrant Japanese families living in rural Hawaii during that era had the resources to support a son studying on the mainland. It was likely that only through great sacrifice by the whole family and, of course, Kainuma’s talent, that he was able to do so. Following his graduation from Tulane in 1938, he did his internship at the Tri-State Hospital in Louisiana and later his residency at the Alexian Brothers Hospital in St. Louis, Missouri. 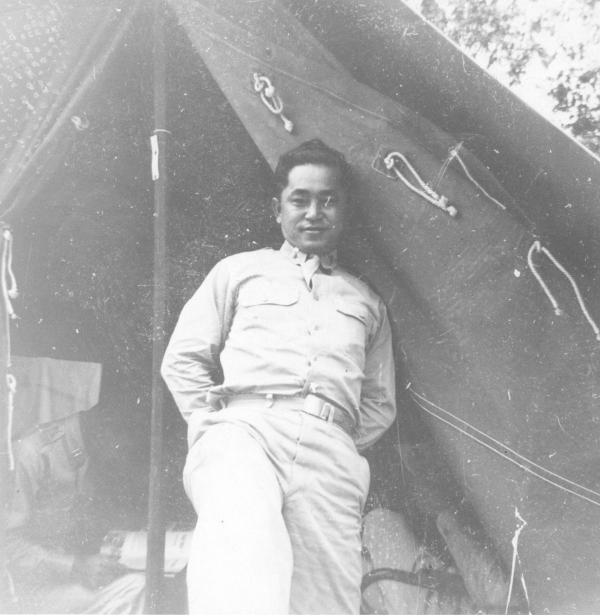 After Kainuma completed his studies in 1940, he returned to Hawaii. He married Mildred and worked as a general practitioner and surgeon. 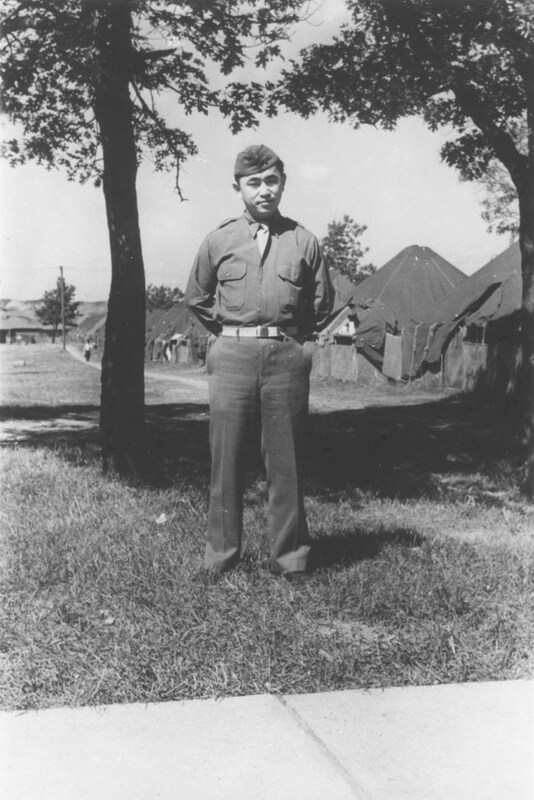 In May 1941, Kainuma enlisted as a lieutenant in the U.S. Army Medical Corps and the following year accompanied the 100th Infantry Battalion to Camp McCoy, Wisconsin, then on to Camp Shelby, Mississippi. He was soon promoted to captain and was described as a tireless worker and a very skilled doctor by the battalion’s Executive Officer, Major Jim Lovell. When the 100th Battalion landed in Salerno, Italy, in September 1943, it headed directly toward the German lines. Soon after, Kainuma was seriously injured on the way to the town of Benevento. A heavy weapons convoy in which he was riding slid off a muddy road. He suffered chest injuries, including four broken ribs. The doctor tried to separate his emotions from the impersonal medical task of trying to save as many wounded soldiers as possible. But in one particular instance, Kainuma found himself taking extra time in what became a sadly unsuccessful attempt to save the life of a dying jeep driver. He had remembered how well the young soldier had sang at a company party. When the war ended, Kainuma, or “Kai” as he was known to his friends, returned to Honolulu with Mildred, re-established his practice and became involved with the former Japanese Benefit Hospital. Federalized by the Army after the attack on Pearl Harbor, the hospital had been renamed Kuakini Hospital and new standards had been introduced. The Japanese community was divided as to how the hospital should move forward. Some wanted it to return to the way it had been run before the war. Others, particularly the Nisei doctors like Kainuma, who had been in the Army and spent much time working in mainland hospitals, thought it was time that the hospital modernize and go through the formal U.S. hospital accreditation process.